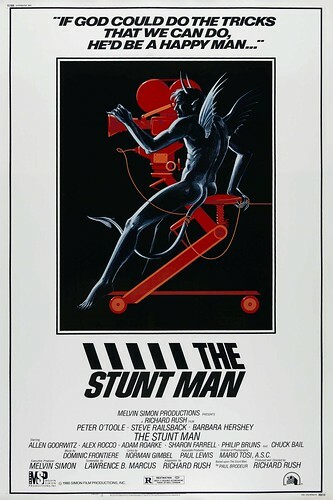 *The Stunt Man* screens as part of the Classic Film Festival's _"Hollywood On Hollywood"_ series of films with an introduction by the film's Academy-Award nominated director and Classic Film Festival special guest Richard Rush. 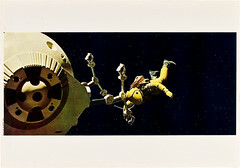 *The Stunt Man* is one of their favorite movies. You are very welcome. And to make it clear, _all_ images in this thread have large (or very large) versions available by clicking on the posted image. Click away guys and gals. Coould be. Who is this "they/their" you are referring to? Could be you for all I remember. I just remember reading it and thinking that I will have to sit down and watch it someday - if it's good enough for whoever it was, I might like it. 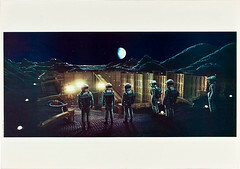 I was one of the folks who expressed a love for the movie. But that was a long time ago, I'm not sure if I'd like it now. But I certainly love that bizarre-yet-beautiful poster, Kyle. Thanks. Thanks for the *Stunt Man* poster. 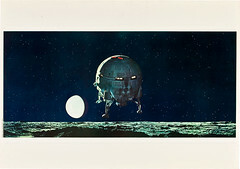 I haven't seen the film in more years than I can remember, but I love it. 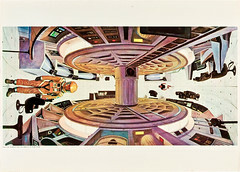 Had the soundtrack on vinyl back in the day! 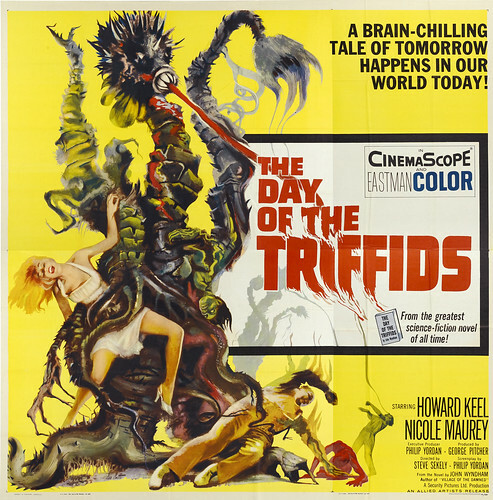 The TCM Classic Film Festival presents retoration expert Michael Hyatt and a Midnight Screening of the newly restored print of *The Day Of The Triffids*. I hope this means TCM will show it eventually. 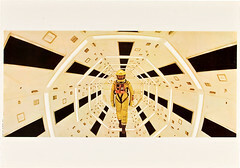 I love old movies about "tomorrow". Newly-restored *Jubal* screens with an introduction by Classic Film Festival Special Guest Ernest Borgnine. 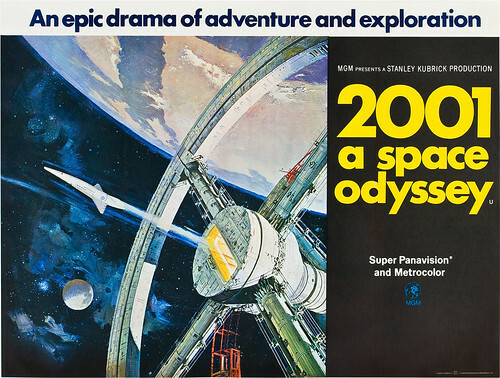 *2001: A Space Odyssey* screens in 70MM with a discussion by Special Visual Effects Artist and Classic Film Festival special guest Douglas Trumbull. 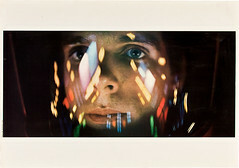 "Club TCM" hosts a display and talk by Douglas Trumbull about the the film *2001: A Space Odyssey. Those renderings are terrific! My mid-century modern heart is beating with happiness! 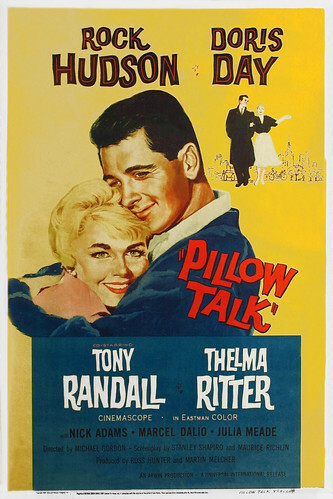 *Pillow Talk* screens in Cinemascope at the Egyptian Theater as one of the TCM Film Festival "Essentials". 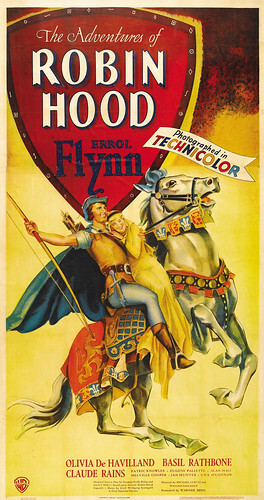 *The Adventures Of Robin Hood* screens accompanied by the Bugs Bunny classic "Rabbit Hood". Oh my goodness! I do hope this film festival makes a LOT of money so they will keep doing it (Or better yet, take it on the road) I will have to save my pennies for a future festival. Hi you. Happy to see you in these parts this week. I hope The Classic Film Festival is a success too. It is the biggest thing to happen to my neighborhood since the Oscars moved into the Kodak Theater a few years back. And this MAY be even bigger than that because one doesn't have to be invited to attend. If you haven't seen the Festival website, definitely check it out. 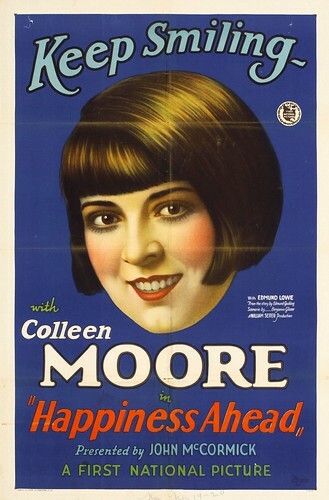 And keep checking back here for more fun poster images. This thread will run at least until the day the Festival opens. Maybe longer. Nice to be here. I have been on break these past two weeks, so i actually have time to sit and read all the posts. This is a busy board! *The More The Merrier* screens tomorrow evening in Washington D.C. at the historic Avalon Theater with appearances by Ben Mankiewicz and film producer George Stevens, Jr as part of TCM's _"The Road To Hollywood"_ Classic Film Festival roadshow. 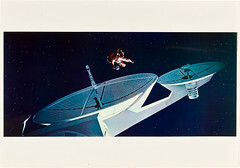 The Motion Picture Academy Of Arts And Sciences Archive and the UCLA Film Archives present fragments and trailers from a selection of "lost" films. 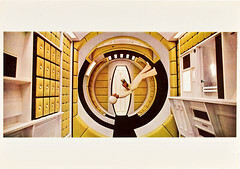 Hosted by members of the AMPAS Film Archive. "Strange that Monroe gets top billing." 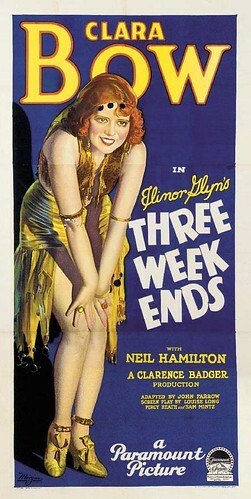 Although MM's role in Some Like It Hot might not have been the biggest of the three leads, she was by far the biggest star of the three, and was expected to bring in the most paying customers. So she definitely would have top billing in this. 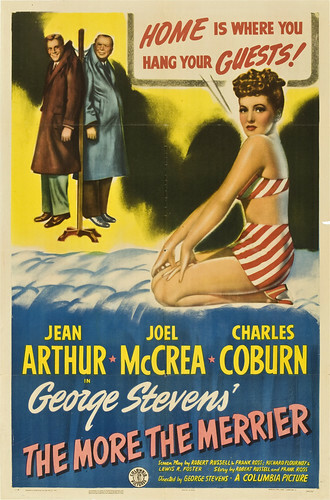 I love all the old poster art, and enjoyed Saul Bellows' pop art artwork for All About Eve. 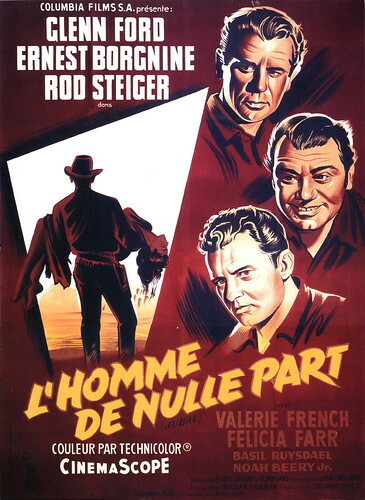 He also did the artwork for Mankiewicz' previous film NO WAY OUT, which preceded AAE to theaters by 3 months or so. It was in a similar style as AAE's poster, even more stark, with just Linda Darnell's eyes and arrows as in AAE's. 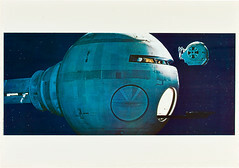 These proved to be quite influential, as the poster for Breathless demonstrates. The TCM Classic Film Festival presents a midnight screening of *The Bride Of Frankenstein* with a newly restored soundtrack. 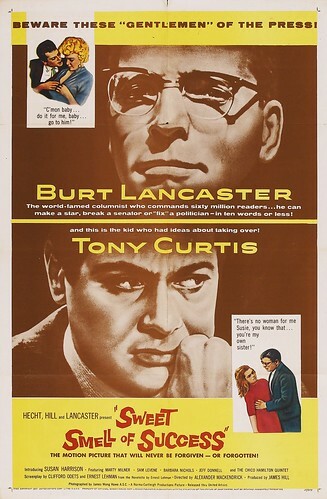 *Sweet Smell Of Success* screens as part of _Vanity Fair's "Tales Of Hollywood"_ with a discussion by Classic Film Festival special guest Tony Curtis. 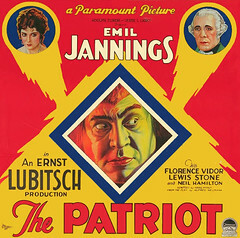 I'd love to hear Tony Curtis discuss this film. Actually, I'd love to hear him on any topic. There aren't many of that generation left, with those kind of insights. 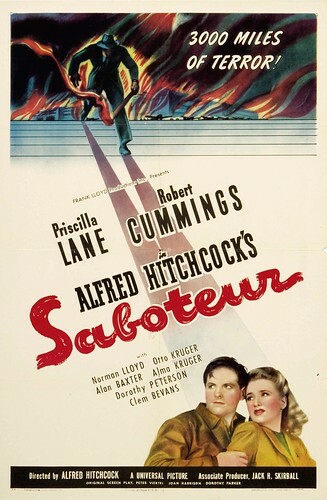 *Saboteur* screens with an introduction by Classic Film Festival special guest Norman Lloyd. 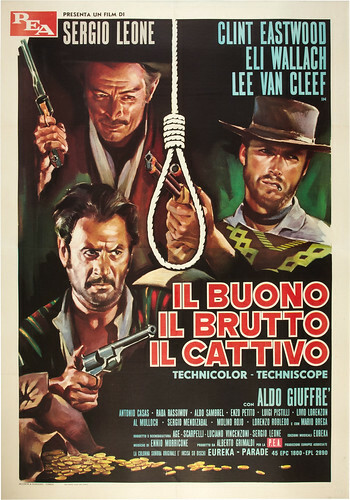 *The Good, The Bad and The Ugly* screens with an introduction by Classic Film Festival special guest Eli Wallach.